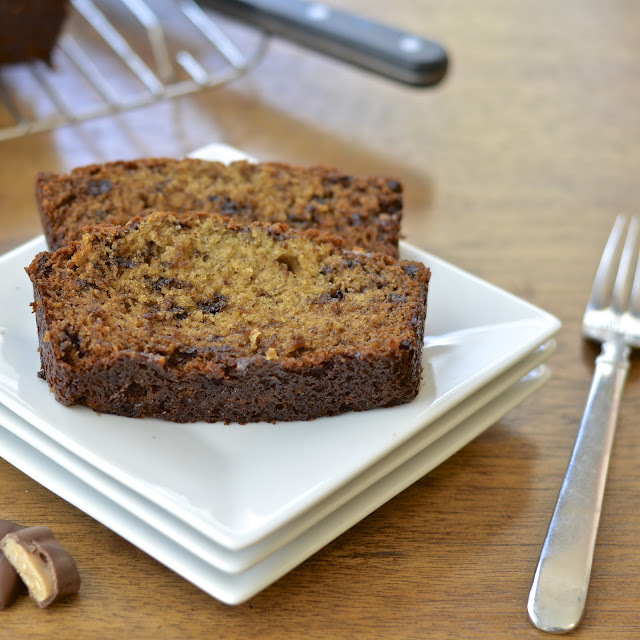 I realize that just a couple of weeks ago I posted a recipe for mini banana chocolate chip muffins. Therefore, this recipe may seem redundant, but I promise it isn’t. 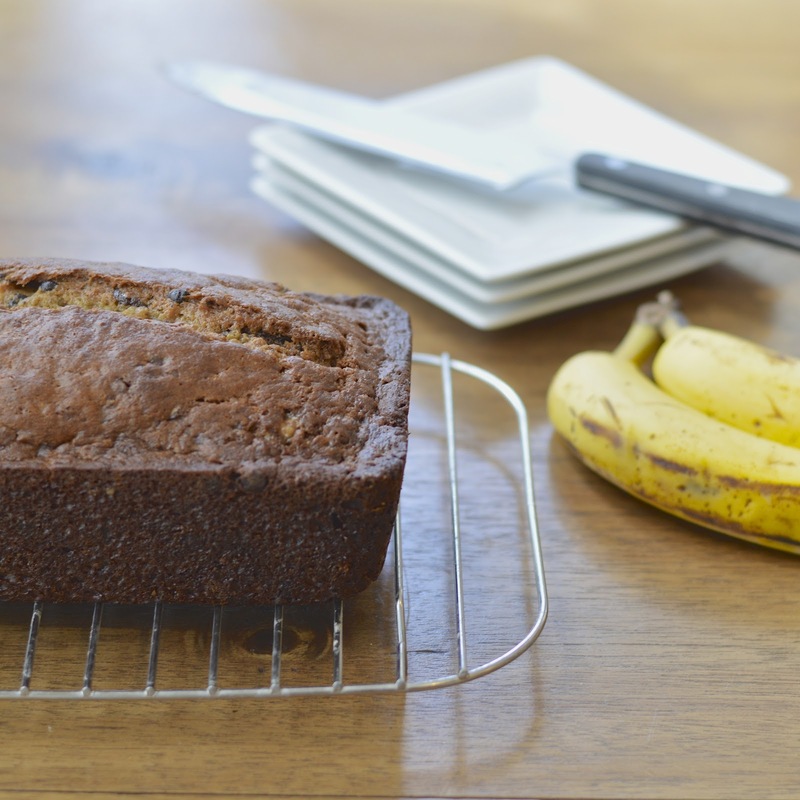 The fact is, if you have overripe bananas you have to make banana bread in some way, shape or form. They are too mushy to eat, but just perfect for that baked confection that we thoroughly enjoy at breakfast or any time of day. Heath bars are truly one of my absolute favorite candy bars. What’s better than crunchy, buttery toffee enveloped in smooth creamy milk chocolate – not much in my book. So I decided to smash them up a bit and load a pile into my banana bread batter. The results were magic. 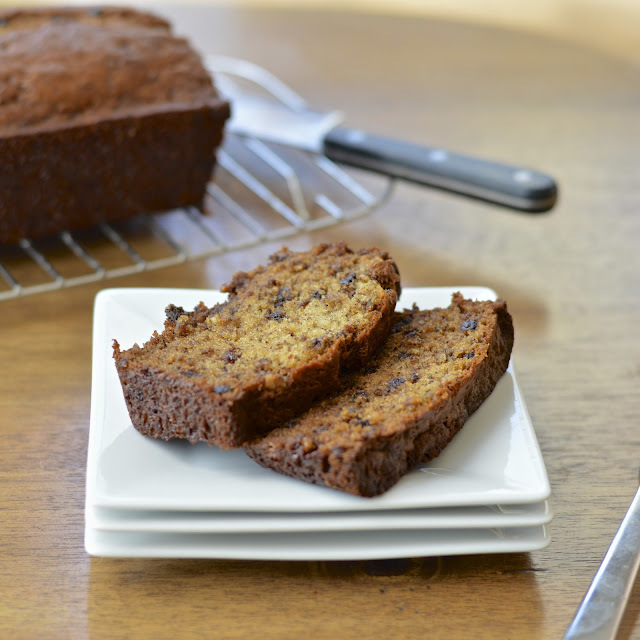 This rich buttery bread has chunks of chocolate and nuances of caramel. I used brown sugar instead of white to intensify that caramel flavor. I do have to admit that this is more of a dessert than a breakfast. I didn’t hold back on the chocolate bars or butter. Sometimes it’s OK to just load it up and enjoy! Preheat oven to 350°F. Butter and flour 9x5x2 1/2-inch metal loaf pan. Whisk first 4 ingredients in medium bowl to blend. Combine chocolate chips and heath bar in small bowl. Beat butter in large bowl until fluffy. Gradually add sugar, beating until well blended. Beat in eggs 1 at a time. Beat in mashed bananas, and vanilla extract. Beat in flour mixture. Stir in the chocolate chips and heath bar. Pour into pan. Bake bread about 1 hour 5 minutes. A few minutes before the bread comes out of the oven, sprinkle second 1/3 cup of heath bar on top. When an inserted tooth pick comes out clean, turn bread out onto rack and cool. 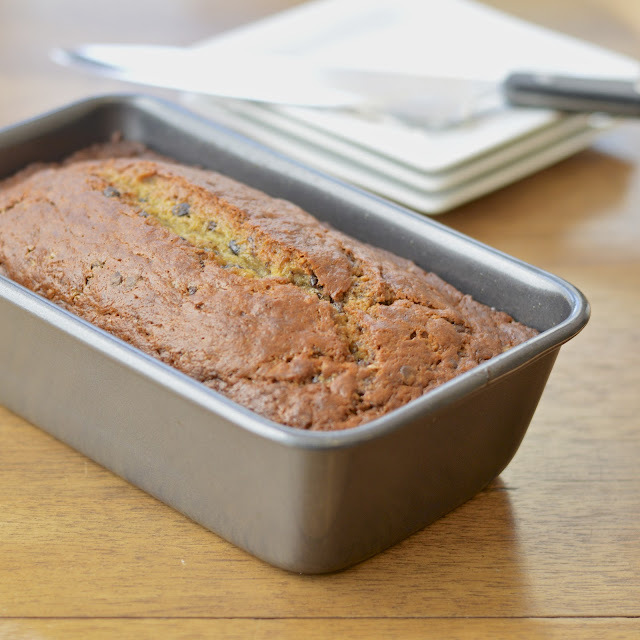 mmmhhh... this banana bread looks amazing!! I'm sure it tasted great with the heath bars in it! !